From the Archives: Firearms in church? EDITOR’S NOTE: This story has been edited and updated, having run previously in the Oct. 8, 2013, edition of The Pathway. NORWOOD – Pastor Stephen Fugitt believes that churches have the right to arm themselves for the day when a gunman enters their buildings to do harm. Yet no one had time to open fire against a gunman who aimed his .357 magnum revolver at Fugitt as he preached to his congregation at the First Baptist Church, Norwood, July 21, 2013. Instead, one church member grabbed the gunman’s arm, causing his first shot to hit the ceiling, while other men helped to wrestle him to the ground. They held him there until police arrived, and no one was seriously injured. According to a Christianity Today report, 115 instances of such church violence occurred in the United States in 2012, compared to only 10 a decade earlier. Church shootings, the report added, remain less likely than a person being struck by a bolt of lightning. Even so, when church violence strikes, people have no time to think, but only to react. For this reason, Fugitt urges Southern Baptists to plan how they will respond if a gunman enters their buildings, and they must decide now whether they will respond with deadly force. 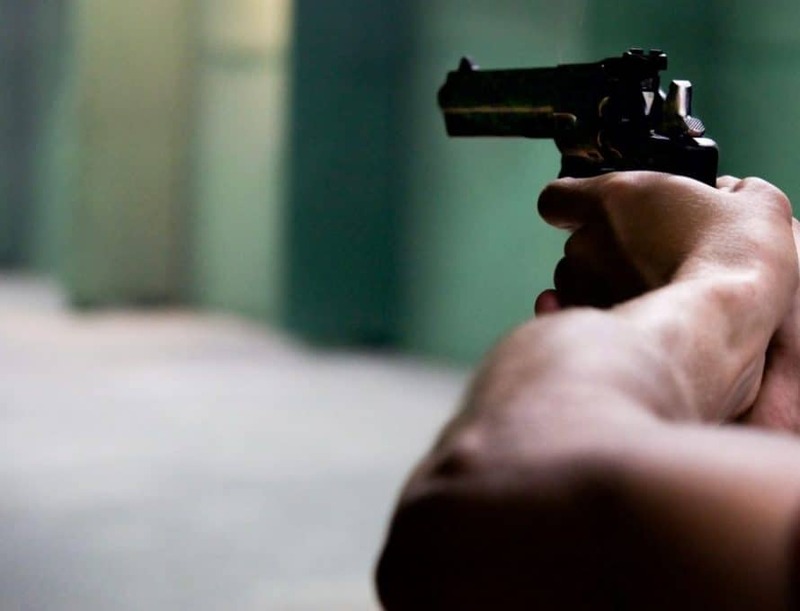 Various Christians, however, have developed conflicting theories about the use of weapons in church security, said Vaughn Baker, president of Strategos International and lay leader at Abundant Life Baptist Church, Lee’s Summit. Baker said that Strategos International always defends the right of churches to protect their members and visitors from violence. Such a difference indeed exists, according to church historian John Mark Yeats. Christians in the United States, he said, face church violence in a context that differs greatly from what many Christians have faced throughout history and, currently, throughout the world. “Context, context—that makes a huge difference,” said Yeats, who serves as the undergraduate dean and associate professor of church history at Midwestern Baptist Theological Seminary in Kansas City. In the United States, Yeats explained, Christians are able to think of church violence primarily as a safety issue, whereas persecuted churches throughout history and around the world have been forced to think about church violence primarily in light of their Christian witness. Within these different contexts, Christians must respond to church violence in different ways, although every church should attempt to respond in a way that brings glory to Christ. The sanctity of human life, in fact, should serve as the bedrock for Southern Baptists’ church security plans, ethicist J. Alan Branch said. Although churches have a right to defend innocent humans, Christians can by no means pursue vigilante justice, Branch added. According to Romans 13, God has instituted the government to administer such justice. Even if churches that want to use armed security do not have access to officers of the law, they must appoint only those who are well trained and committed, said Rob Quillin, pastor of First Baptist Church, Kahoka, and a retired Kansas City police officer. “I can tell you from being involved in shootings that you may be a 100 percent shooter on a range, but when somebody is shooting at you, you may immediately turn into a 30 percent shooter or a 40 percent shooter,” he said, adding that when church violence occurs, it will come suddenly in a confined space filled with confused and scared bystanders. Of course, Quillin added, “the best fight in the world is the one you don’t have to have,” and if churches allow people to see that they have security, they may in fact discourage violence. “Criminals will take the path of least resistance,” said Al Meredith, former pastor of Wedgewood Baptist Church in Fort Worth, Texas. For this reason, church security plans may prevent violence or criminal activity. Nevertheless, he said, Christians should take care lest their concerns for safety hinder ministry. In the attempt to implement security plans, churches must not “build an ark and seal it off while the rest of the world drowns,” Meredith said. “You have to be balanced. Be reasonable. Take reasonable precautions. And refuse to develop a fortress mentality.